At the River Island Press party we've all got a voucher! And I mean come on... who can say no to that? I had my eyes on these amazing wedges for a while.. but look! Here i am.. wearing them! They actually walk pretty good! Couple weeks ago I ordered heels from ASOS but they dont walk as confortable as these beauties..
Superleuk outfit!! like the wedges! 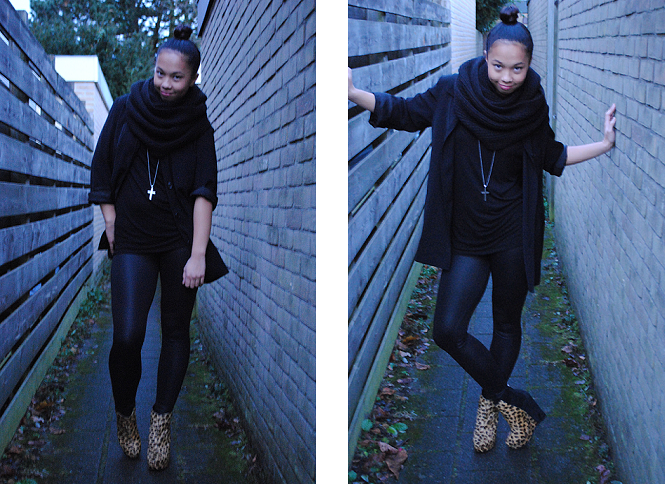 love the shoes and all the black. gorgeous!